Hamberger & Weiss has presented annual seminars for 40 years to our clients. These well-attended, free events are approved by the New York State Office of Court Administration for Continuing Legal Education credits. Our seminars are a half-day format, beginning with registration and lunch, followed by a number of speakers from within and outside the firm addressing timely topics in workers’ compensation. Afterwards, attendees are invited to a networking reception. Attendees leave with a wealth of information and insights to assist them in their day-to-day claims handling. 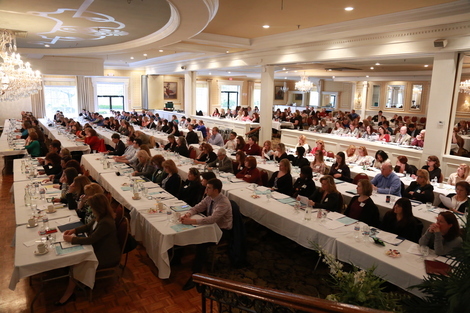 We hold one seminar in Buffalo and one in Syracuse in the spring of each year. 2019 Seminars - Save the Date! This seminar presented a detailed analysis of statutory changes on labor market attachment and the hardship safety net. We also addressed carrier defenses to the Board’s Payor Compliance Program and closed with a rapid fire review of the “New” schedule loss guidelines, the proposed Pharmacy Formulary and the federal/state conflict on medical marijuana as it impacts workers’ compensation. This year, our speakers will cover the latest updates in labor market attachment, permanency, and settlements. We will close each seminar with a panel presentation on workers' compensation fraud featuring New York State Inspector General Catherine Leahy Scott. Our seminars are reserved for clients. If you would like information about attending next year's seminar, please email Heidi Mahoney at hmahoney@hwcomp.com.